As in you make tea, do a bit of research, click over to Facebook, scroll a bit more, answer a few emails, take a quick nap (read two hours), cook up something delicious, and promise yourself you’ll start tomorrow. A cycle which repeats itself for days, which turn into weeks, and months, until that flash of inspiration turns into a distant memory and you do absolute ZILCH to implement it. An idea which could potentially transform your WHOLE life? Yeah those moments happen way to often don’t they? Resistance to leave the comfort zone? Refusal to explore what’s holding you back? I experienced this very recently, this week in fact, and honestly, I just had to get out of my own damn way. I psycho analysed myself (as you do, very normal), and established that there were some deep rooted lack-of-self-belief issues that were preventing me from getting my act together and launching my Ask Harriette Members Club. Why haven’t you started yet? What’s holding you back? Are you worried about something? Are you not passionate about this? Are you harbouring some form of emotion which is causing a block? Of course my pathetic answer was ‘I don’t know’, at which point I had to ramp up the mentor-me and give myself a good talking to! Safe to say, today I completed the landing page, registration site, and advertising copy for the Members Club and sent it live, and boy does it feel good!! And on that note, I’m off to celebrate my achievements, as every freelancer and creative genius should! The small wins are just as worthy as the big ones. 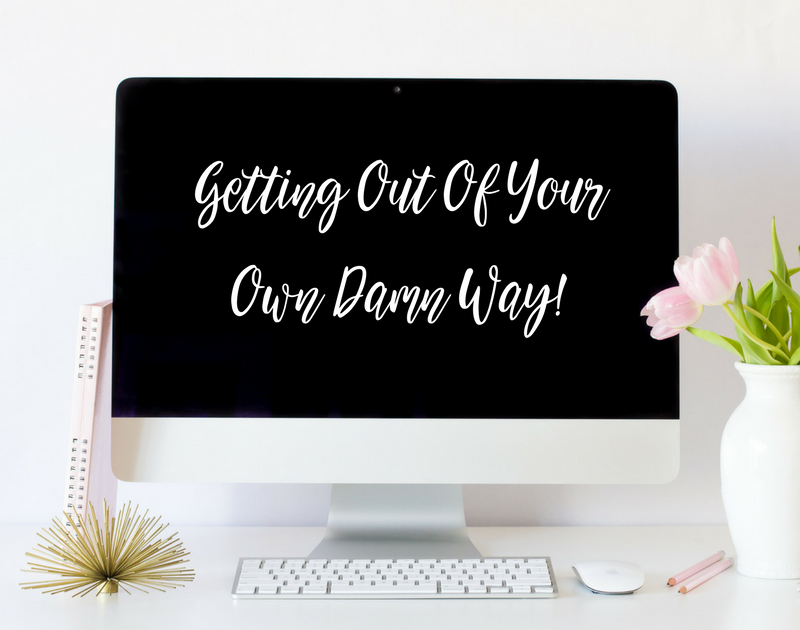 Here’s to your success, and getting out of your own way!